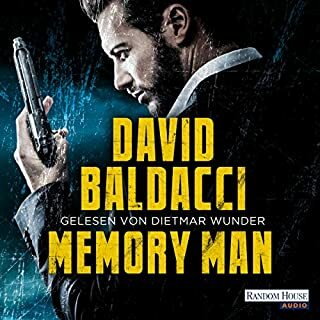 Seit einem Unfall kann Amos Decker, der Memory Man, nichts mehr vergessen. Eine Eigenschaft, die ihn nach dem schrecklichen Mord an seiner Familie fast in den Wahnsinn getrieben hätte. Aber nun hat er ein neues Lebensziel gefunden: Innerhalb einer Spezialeinheit des FBI klärt er ungelöste Schwerverbrechen. In seinem ersten Fall geht es um Melvin Mars, einen ehemaligen Footballstar, der seit zwanzig Jahren in der Todeszelle sitzt. the reader was amazing his voice fit the character perfectly and the woman characters had women speakers which was great also the music that built up suspenseful senes was good to. very well done. Great way to share a book on a car journey. My wife and I really enjoyed 'reading' the same book on a long car trip recently. We listened to a few chapters then discussed our who dunnit theories. Great fun reading. i really enjoyed the complex twists in this book. 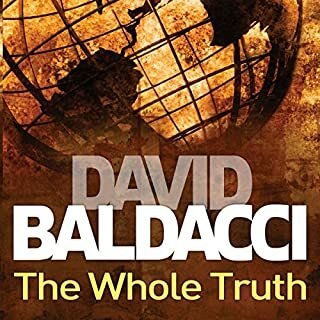 and the superior writing skill of David Baldacci. The narration also fitted well with the story. Well done to all. A bit weird as to why the main character was linked to all the fatalities. Kept thinking what has this got to with him and why would this happen. Tenuous at best. 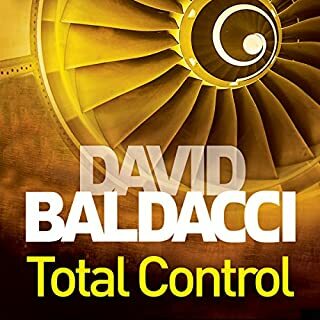 preferred David Baldacci's last character. However, Ron Mclarty and Orlagh Cassidy are awesome as always!! Enjoyable and captures your interest from the start. 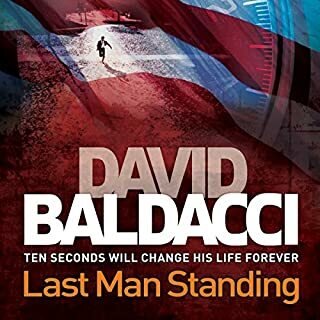 As with his other books, David holds your interest, you just don't want to put it down, a need to know what is going to happen next. slow start but as the story develop it gets better and better. Loved the idea an ex cop had a freak accident and the outcome was he has 100% memory of all the past. Could not put it down. Bring on the many sequels. Great story, narration excellent. Excellent characters. Excited to read the next one and see what happens. 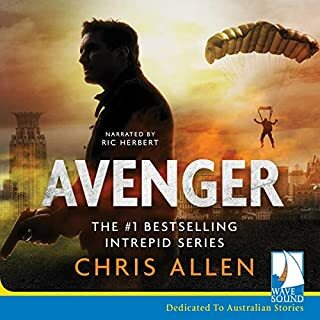 The story would have been pretty good, if not spoiled by the worst narration I have heard yet from Audible. No offence Ron and Orlagh, but the production was terrible. It was completely distracting with constant edits, changes in volume and tone and inflection intruding on what was being said. And worst of all, who's idea was it to put "sinister, tension, mood music" over the voice, just at the most interesting points? Hideous and totally distracting and unnecessary! The words are good enough to hold their own without that awful noise. Good characters from an author I have never heard of before, but ruined with amateur presentation. 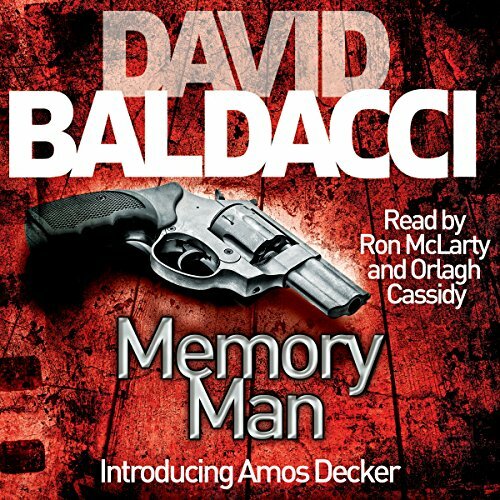 What other book might you compare Memory Man to, and why? Cuckoos calling. Mainly because Amos Decker reminded me of Cormoron Strike. A tough, rough fat and heartbroken man, Amos Decker, our leading man is a hard hitting and fearless detective. After coming home to find his entire family brutally slaughtered; and after receiving a severe brain injury on a football field that left him with no sense of fear and very little feeling, he has all the makings of a loveable hero. I was rooting for him the minute I was introduced to him. 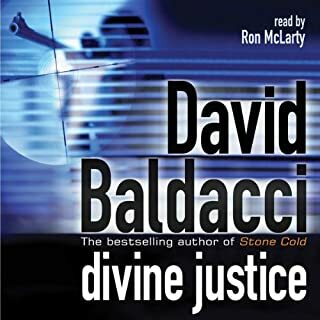 Baldacci has created a great character here, which helped make this great crime story fantastic. I was guessing from the word go and I never usually do this with crime/thrillers. Memory Man is Fairly Memorable! 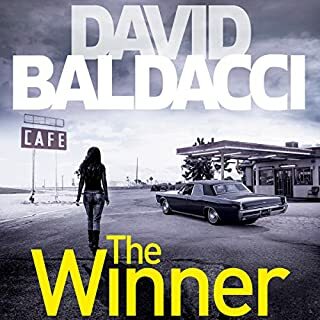 A new lead for Baldacci sees Amos Decker, a savant not from birth but from an horrendous incident in an American Football game tackle a case that had defined his personal life. 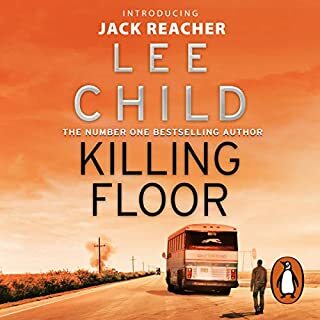 Decker is fascinating drawing inspiration from a mix of the likes of Jack Reacher and possibly the world of Keifer Sutherland’s TV Series “Touch”. He is a damaged individual who sounds hard to like as he struggles against: depression, his near-unique condition of perfect recall which proves to be both a blessing and a curse and tragedy in his personal life. He is surrounded by characters of reasonable depth as the story develops. The plot itself is fairly complex and develops at a steady pace and is most strongly focused on the detail of the investigation itself. The dual narration from Ron McLarty and Orlagh Cassidy is decent enough but suffers from some minor production problems. 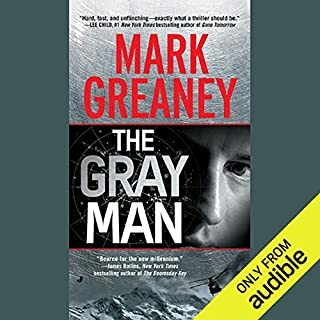 McLarty sets the opening scene superbly but seemed to struggle with the more descriptive parts particularly as Decker’s condition was regularly covered to the point of over-repetition. It was definitely a good idea to have Cassidy’s assistance with the female characters but the production had McLarty’s voice on multiple levels and the female voices almost sounded like they were condensed, similar to listening over a phone line at times. The brief moments of musical backing worked well to my taste though and the production problems won’t be a great problem to most of us. 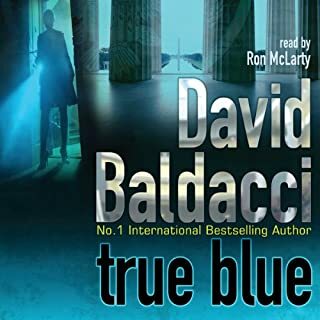 I am going to stick with this series because it’s a decent premise and Baldacci writes a good story. I didn’t think it was perfect and yes Decker is just another in a long line of damaged detectives but it is damaged in a very different way to the norm. A memory with perfect recall is something I am sure that many of us would be only too happy to have but the book quite convincingly shows how much of a curse it could be too. The detailed plot and investigations made for interesting listening. In summary well worth considering. 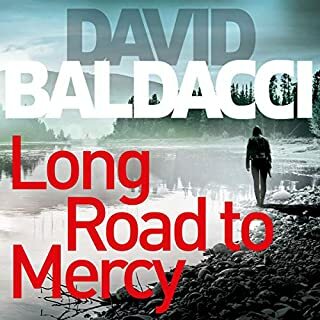 Yes I definitely would once again David Baldacci has created a really extraordinary set of characters in this book which I hope is only the first in a series.The plot is well done. The central character is unusual and totally engaging. 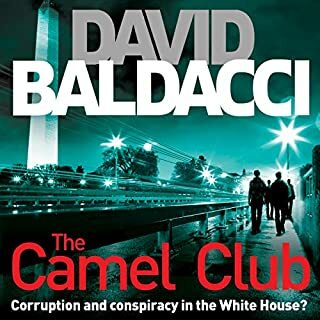 The whole book is well written and gripping.I am an avid fan of his Camel Club series, Will Robbie books and the Puller series and it appears that once again he has found the magic which seems to drip from his pen. What does Ron McLarty and Orlagh Cassidy bring to the story that you wouldn’t experience if you had only read the book? I love this duo reading style. The readers are an essential part of any audio book, make the wrong choice and a book can be ruined but these two are perfect in my opinion. I am waiting eagerly for more books from this author generally and in this series particularly. I disliked the style of reading. The story was far fetched and predictable. Disappointing overall. Good enough story with loads of twists and turns and was very happy to read it. I found the cut and edit of the narration really poor and frustrating. Orlagh was only ever used for female narration with Ron concluding with "she said" or similar. lead to a disjointed read. Even Ron's bits were spliced and you could tel they had recorded bit in different studio. My guess this was to fix errors. That said the story was OK and i got used to it. Found the conclusion a little hard to swallow. Some of the justifications as to why and when just felt a little unlikely. Couldn't stop listening, well read and written, great description, twists and turns in the plot. Kept me riveted to the last sentence. 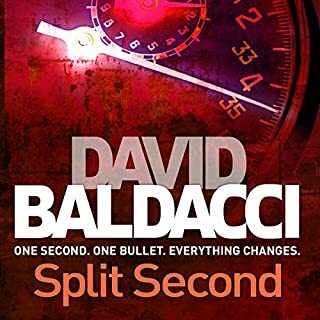 David Baldacci never ceases to amaze, great writer, you get submersed in the story. Would recommend without hesitation. 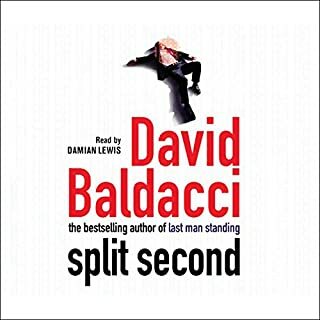 My first and last Baldacci book - bad narration. What did you like best about Memory Man? What did you like least? There is much to like about the start of Memory Man - it's an interesting premise, but surely we've seen 'damaged ex-policeman' about a million times. 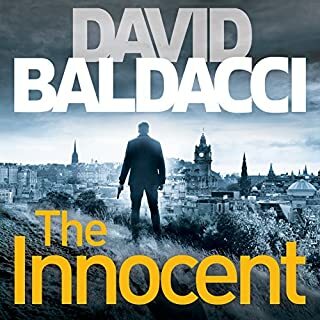 Yes, Baldacci puts a neat twist on things and the kick off for the story keeps you interested but it's like a crime thriller for idiots - everything is explained and re-explained over and over. You know those bad US tv shows/movies where everything is verbalised so no-one misunderstands anything? It's like that and it's infuriating. Story was ok - really conveluted though and utterly propsterous. Performance/narration was very annoying. Firstly, the main guy reading was far too old. Some of the speech even sounds a little slurred at times. Secondly and inexplicably, every now and then a different guy says a line or two. Not speech or anything, just a random line. It's almost like the first guy missed out some lines and the second guy was filling in. It could be they made an abridged version and just added the missed out lines with a new guy. Terrible. Finally, I liked the fact that the women's parts were played by a woman, but the recording sounds like it took place at a different time and place with unrealistic gaps during talking scenes. Just bad. Could you see Memory Man being made into a movie or a TV series? Who would the stars be? This should not be a tv series, if it is it'll be one of those bad crime shows like NCIS or Criminal Minds where everything is spelled out for you. 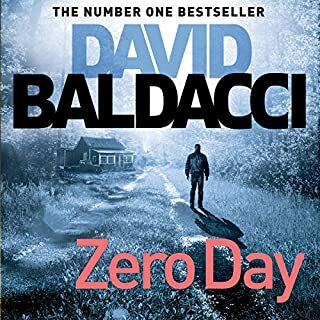 I'm usually pretty forgiving with books i read and I like to read a lot of different genres, but this is not a good book, made worse by poor narration choices. I felt like giving a good crime thriller a go, but this is not good. 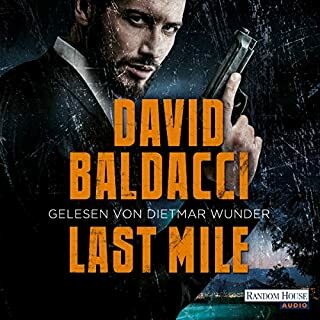 On the plus side, I did sit through the entire thing as I had to know what happened, but I doubt I'll be getting another Baldacci novel. Very enjoyable but patchy audio. I really enjoyed this book as the plot was good and easy to follow, but it left you guessing till the end. The characters were interesting and I would like to know more about the other characters in the book. The only downside for this book was at times the audio would suddenly switch from the normal high quality to a low quality audio. 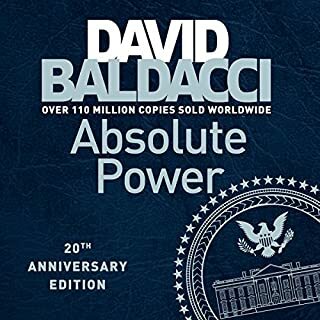 Though it doesn't effect the enjoyability of the book it is noticeable and I feel should not be happening in a audiobook on audible.